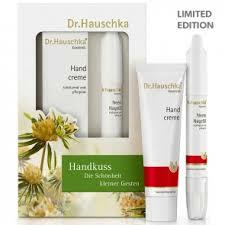 Dr. Hauschka Hand Cream envelops the hands in its silky, subtly fragrant texture while Dr. Hauschka Neem Nail Oil provides deep moisturising for the nails. The rose – it is resistant yet tender, thorny and at the same time velvety. Its complexity – gentle, sensual and even sublime – infuses the four products which are united in the Rose Dreams gift set. A loving touch to the skin that conveys a feeling of security and well-being.